Today I am off to the Glitter Pot to teach Gap cards in the morning and Distress ones in the afternoon. This one is one of the Gap ones. I love those Gears, a Sizzix die from the Tim Holtz collection. So, I better go and get in the car! Gosh! 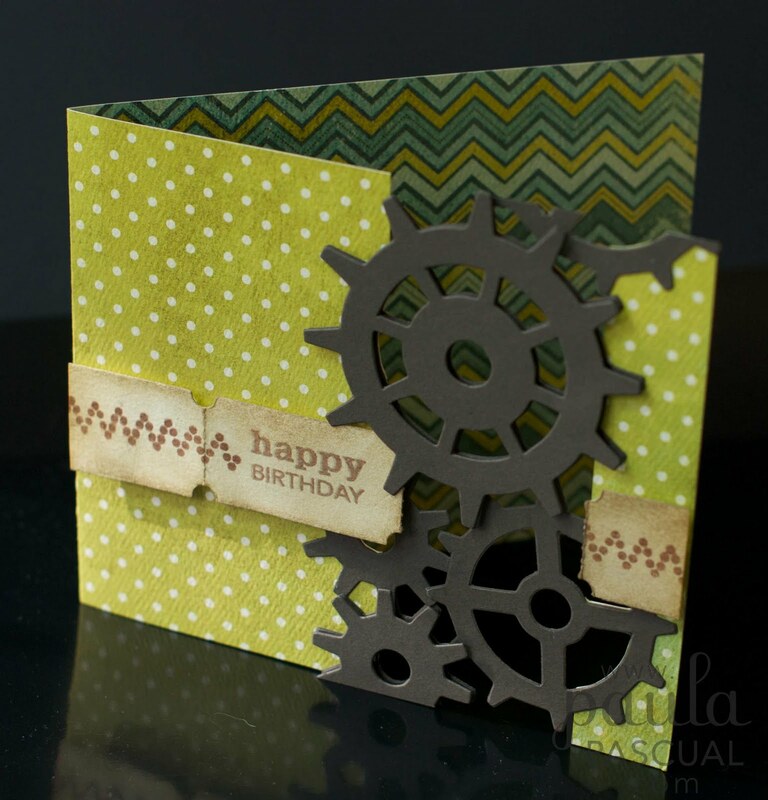 Lovely card, Paula- are the gears double-sided, as in two gears cut and glued together with the card between them? Shall have to try this one- and I liked the Patchwork Cards atricle in mag this month- congratulations!